Hang on thrashers! 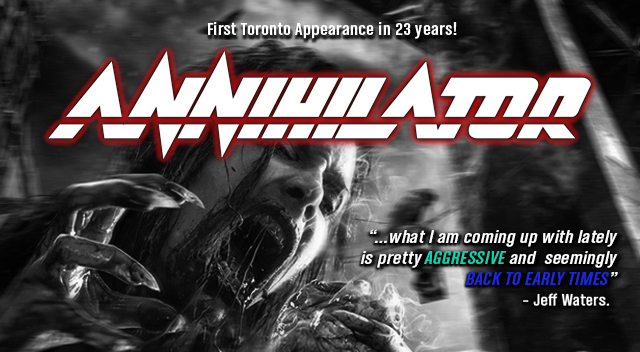 This Saturday, September 10, Annihilator will have their first Toronto show in 23 years. 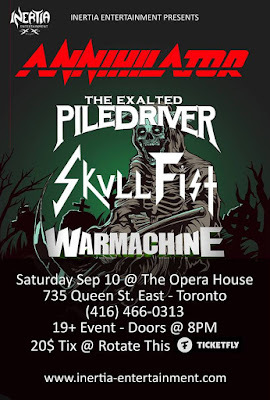 Skullfist, Warmachine and The Exalted Piledriver are the guests of the night. 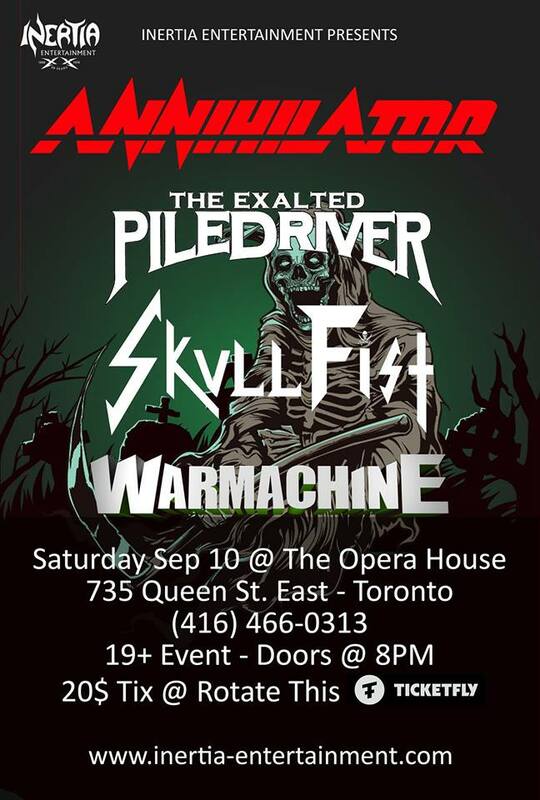 At The Opera House (735 Queen St. East) Doors open at 8pm. 20$ + fees at Ticketfly and Rotate This. 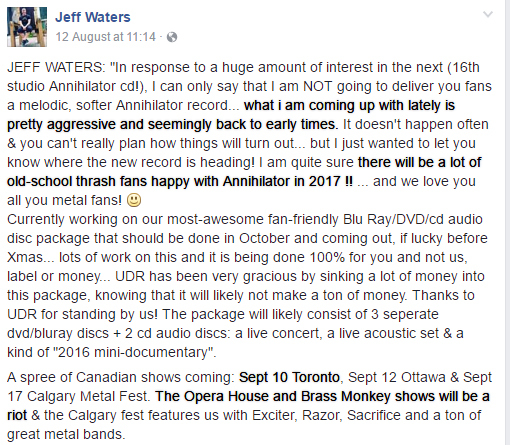 Get your bodies and minds prepared!! 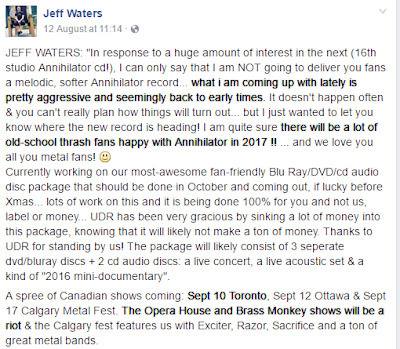 Mosh thanks to Inertia Entertainment.